Have you ever wondered, which PDF tool to use for printing purposes on your computer? Before, the choice was easy due to the limited options on the market. Now, things have changed and you can choose from hundreds of applications. That’s why we’ve decided to give you some information about the best tools to print a PDF. In this article, we’re going at this option mainly for Windows computers, as Linux and Mac users have PDF printing options for years. However, Windows users require specific software to do the job. The idea of the PDF printer is to allow you to save any file in a PDF format. This would allow any device to open it freely, no matter where they are located. If you are looking for a reliable option that offers a simplistic interface, then CutePDF is the right choice. When the time comes to print a file, the only thing that you’d be asked is where to save the file. The results show that the software converts the file in a PDF format, keeping the layout the same as the original, including the embedded fonts. The downside with this application is that it tries to install annoying adware during the installation process. Be careful, which boxes you fill, because you might end up ask.com as a default homepage. Moreover, you might notice an advertisement sign in the save dialogue, which might be irritating for some people. Whether you need high-quality images for printing purposes or you wish to compress the file to share it with others, you can do it with DoPDF. It is a free app, which gives you greater control over your PDF files. You can decide whether you’d like to make the file smaller. You have three main options: high-quality, medium, smallest size. Furthermore, you can decide whether you’d like to embed fonts or not. However, choosing not to embed the fonts, might twist the layout a bit. When we look at the downsides of the application, we can’t find any. The only thing that might bother you is the tiny ad in the option box, but it is not a big deal. We gave you some applications that allow you to create a PDF, but what if you want to customize it further? Well, PDFCreator is an open source PDF printer that allows you to take control over the metadata. Before printing, you can change the title; add an author, subject and even keywords. In case that you’re using a desktop e-mail client, then there’s a button to attach the file to an e-mail. The resulting file is what you’d expect from professional PDF editing software. Unfortunately, the installation process is troublesome due to the adware. That’s why you’ve to be careful, which boxes are you checking during the installation process. 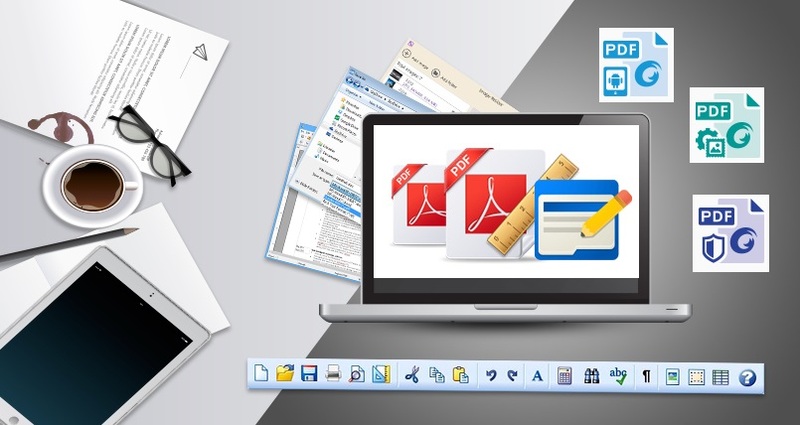 Yet feature-rich software that allows you to print PDF files in few steps. Not only that, but it has tons of customization options, that allow you to tweak the file to your preferences. SodaPDF will print your file perfectly without replacing the content, or the fonts. When you finish editing your PDF, you can save it to your computer or directly upload it to a cloud. It’s important to have everything by your side when you want to edit a PDF. With this editor, you have all you need to print your files without worrying about the results. You have access to a wide range of options that would make your document stand out from the competition. The downside is that if you’d to use all available options, then you have to upgrade to the premium version. However, there are still plenty of options on Soda’s web application and you can always use the free trial to make a test.